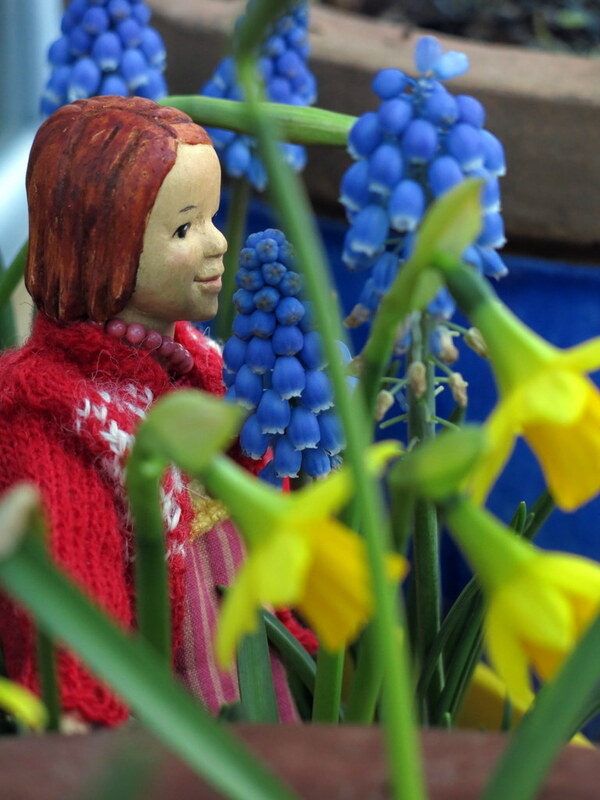 …and fragrant little daffodils and Grape Hyacinth on the windowsill. We will not see these in Fort Collins for several months yet. Thank you for these refreshing and hopeful photos! Wow! You are way ahead of us! 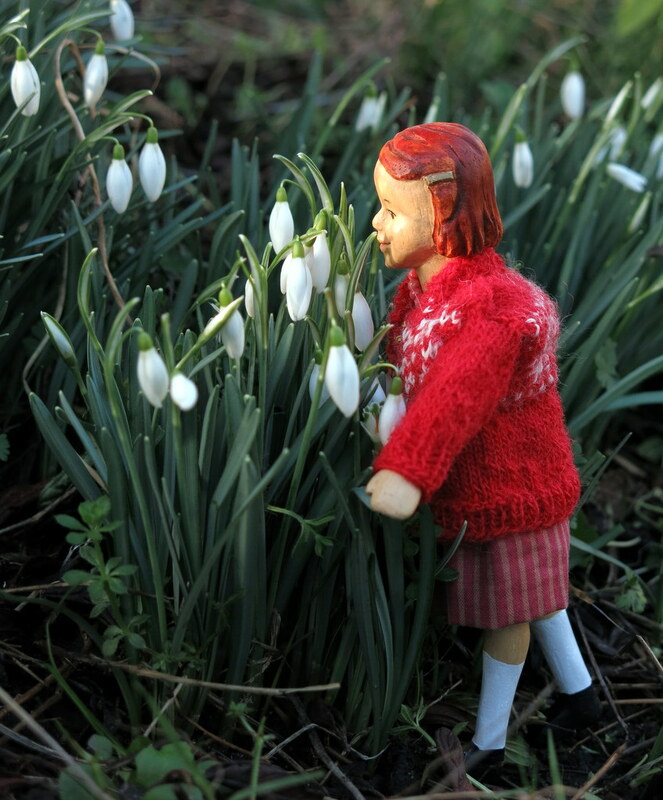 Snowdrops are my favorite! We love them too, such delicate beauty! You are very welcome, we are happy if our flowers can be encouraging. only a few miles apart and your flowers are ahead of mine, must be your proximity to the ocean. Aurelia’s sweater is lovely. 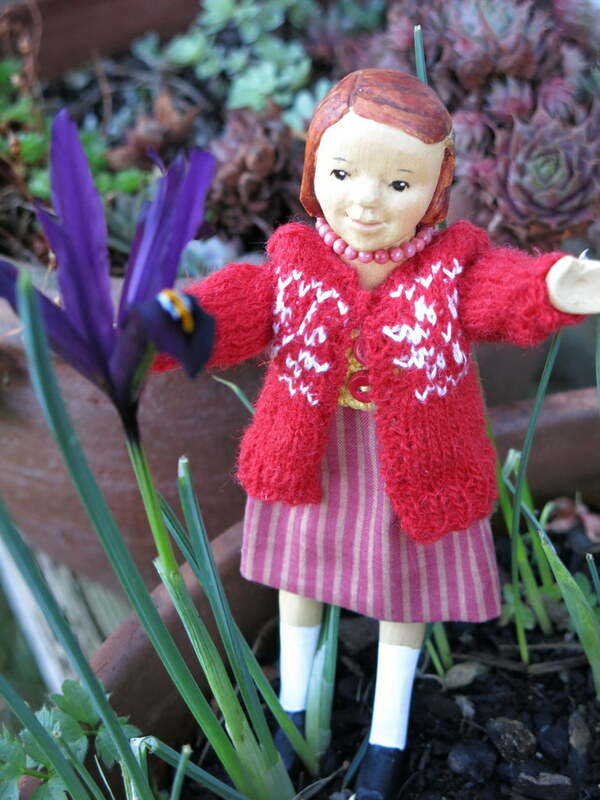 Our neighbourhood is about five degrees warmer in winter than elsewhere in Victoria…your flowers must be on the verge! Lovely colors in your locale…we’re celebrating much white now with the blessing of snow…and drifts…and piles. Ah, I am sorry that the winter persists and hope it will ease soon! Aurelia is such a delightful little girl…and she sure has an eye for flowers!! In our garden there are only ice crystals!!! She sure is enjoying her time out and about!